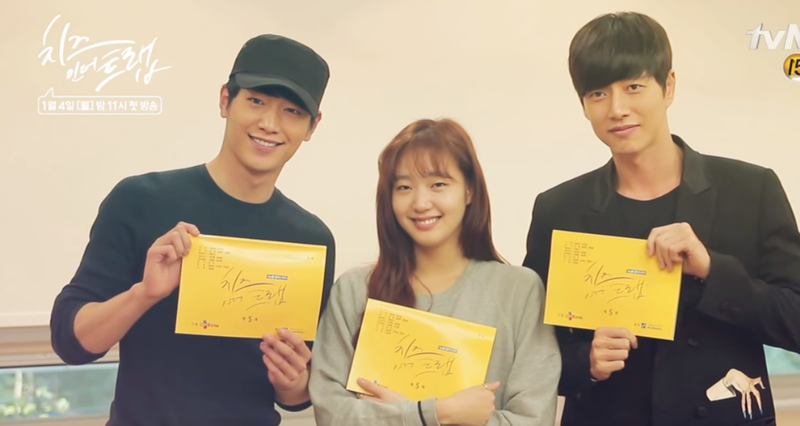 “Cheese In The Trap” Goes the Extra Mile for Fans. 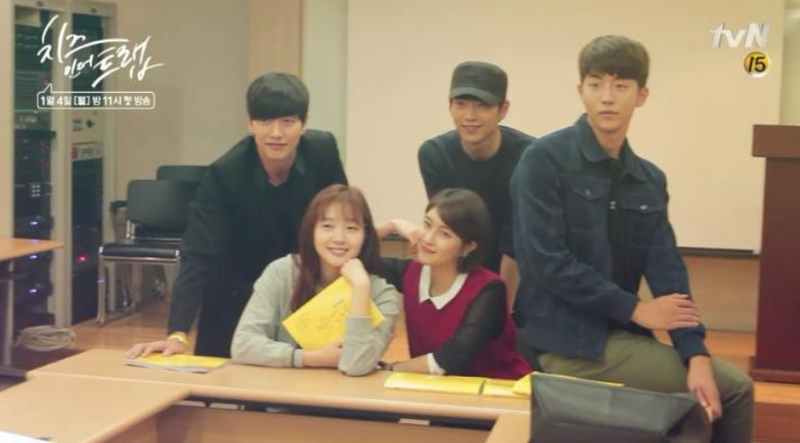 Most dramas just release a few grainy photos of the first script read and call it good. Not for this drama. They went the extra mile (have to keep those fans enthused til January) and popped out a full video of the script reading and some of the BTS scenes. If that means more Park Hae Jin in my life, then I am totally in. So far I can deduce that visually the cast meshes really well and our two leading men have a tendency to get the giggles. Seriously, Park Hae Jin is even hot when he giggles like a schoolgirl. I am really looking forward to seeing this drama which begins airing on January 4th. Drama depicts the delicate relationship between female university student Hong-Seol (Kim Go-Eun) and her senior Yoo-Jung (Park Hae-Jin). Hong-Seol works part-time due to her family’s poor background. Yoo-Jung is good looking, gets good grades, athletic and has a kind personality, but he has a dark side. *Credit to Asianwiki on the synopsis.